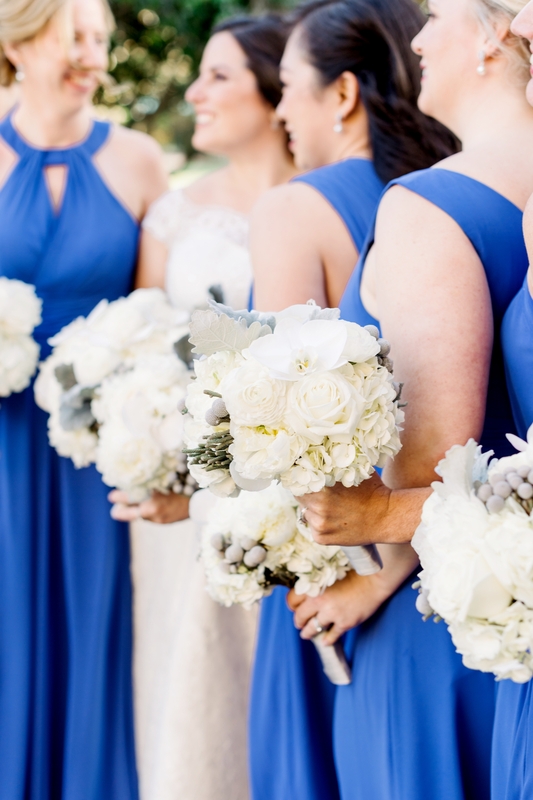 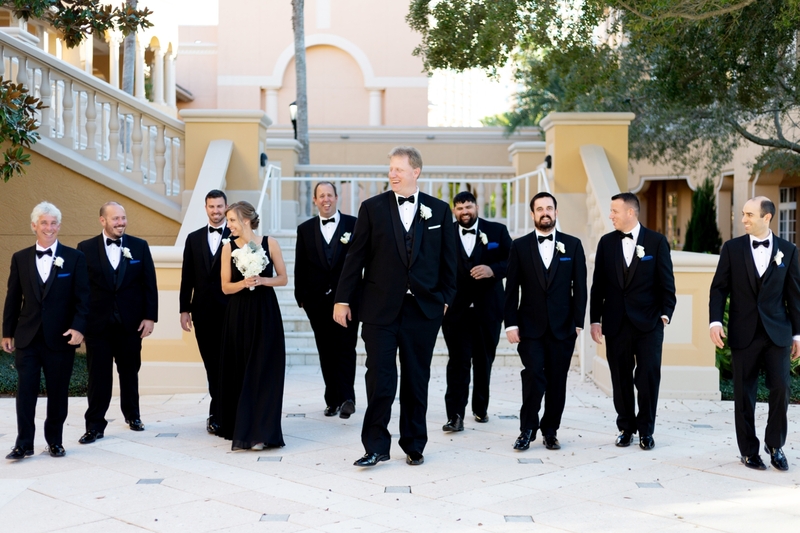 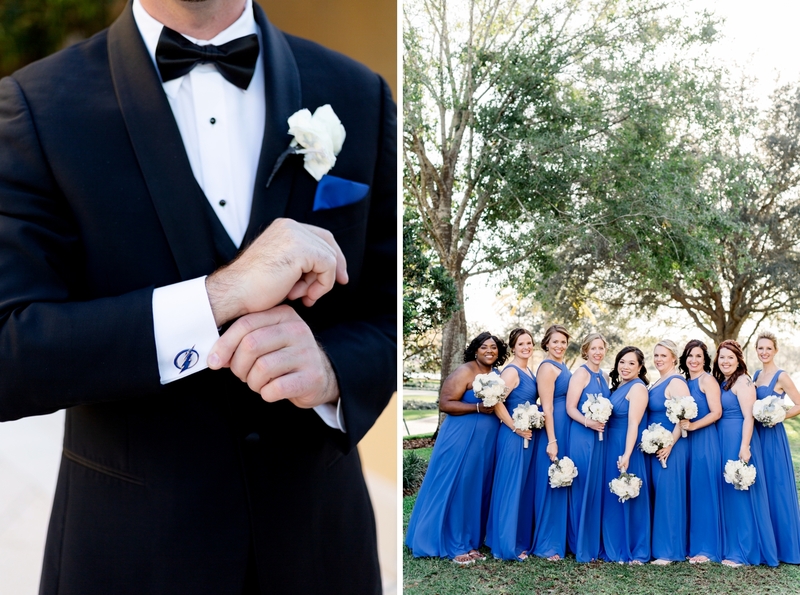 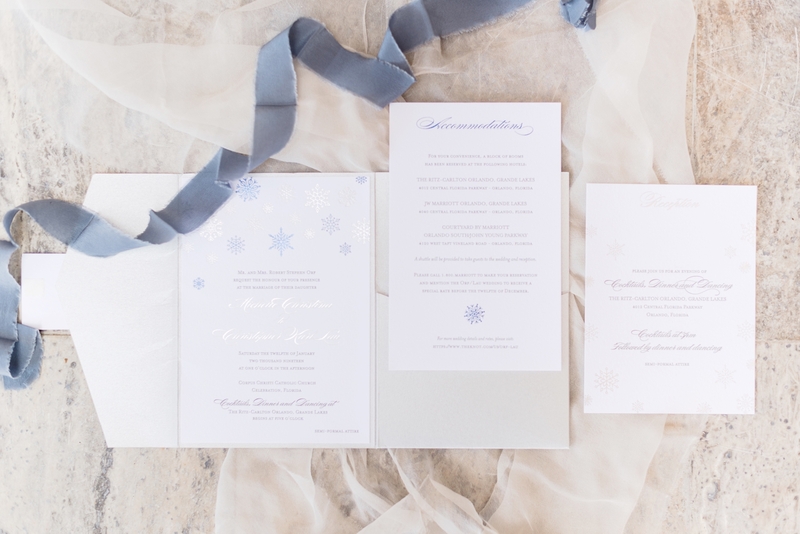 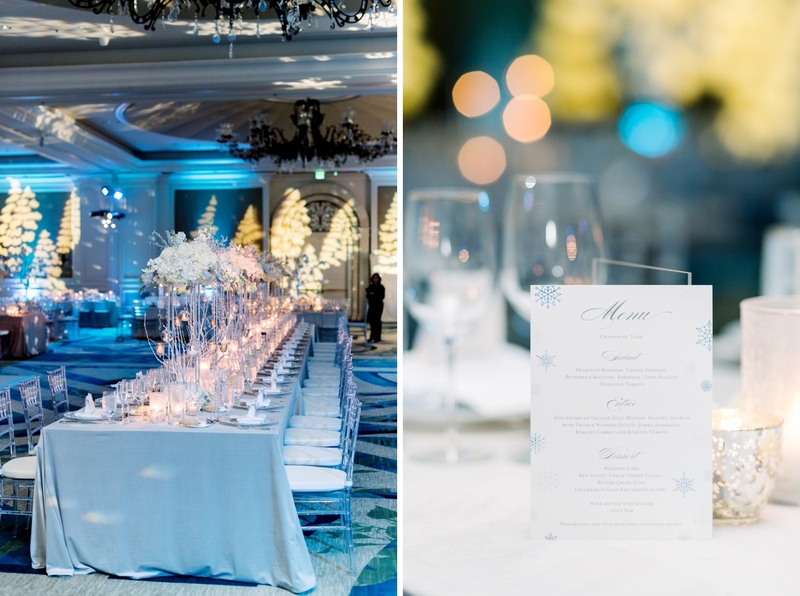 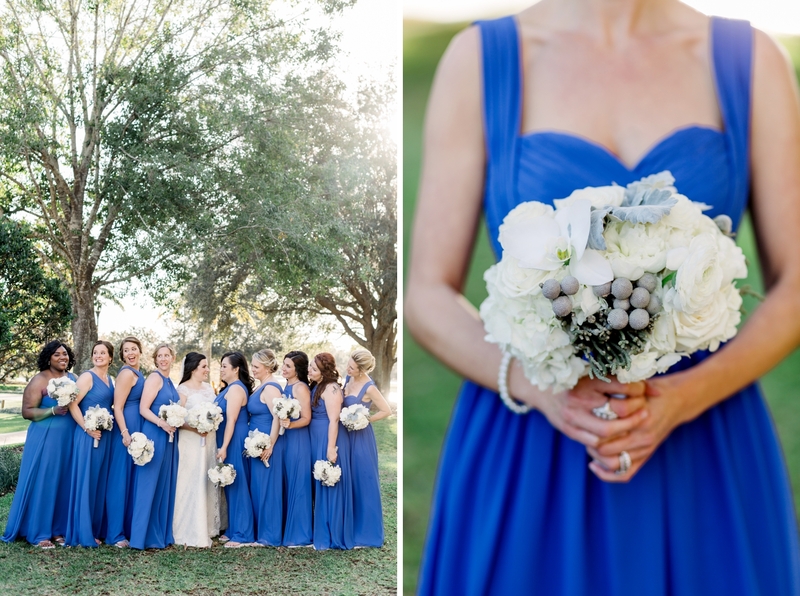 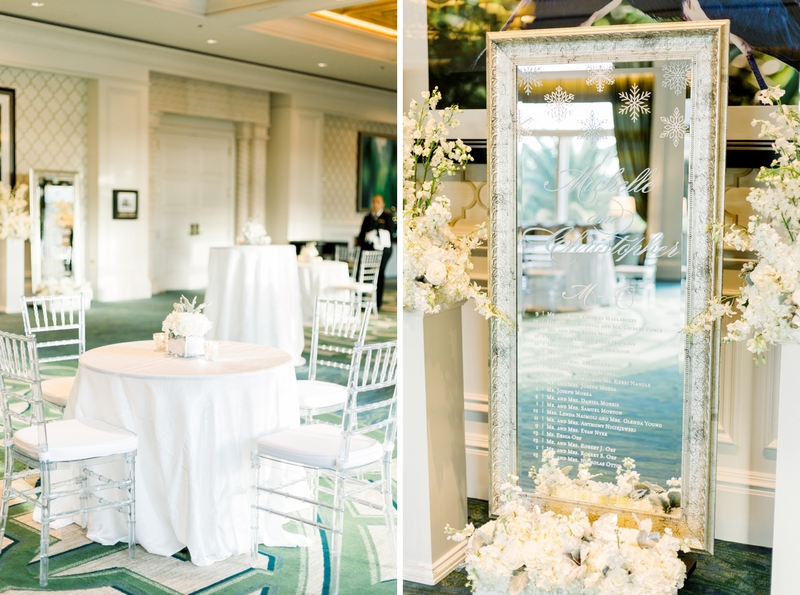 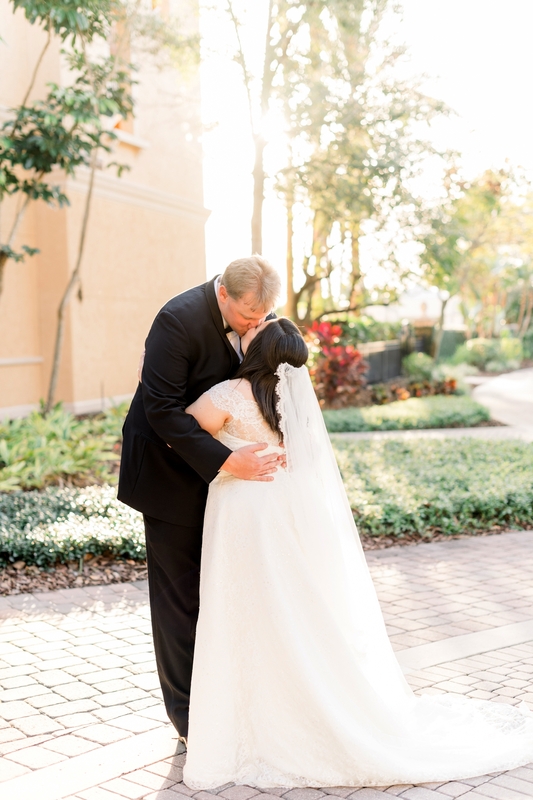 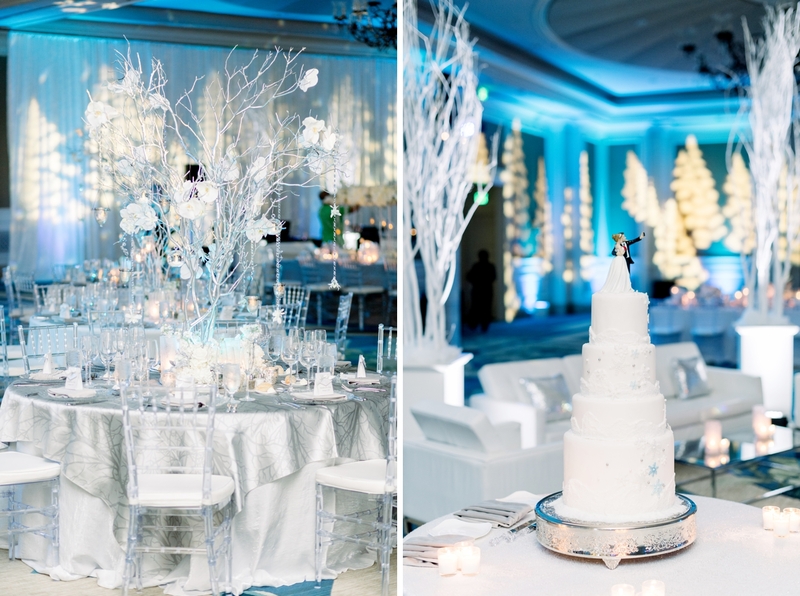 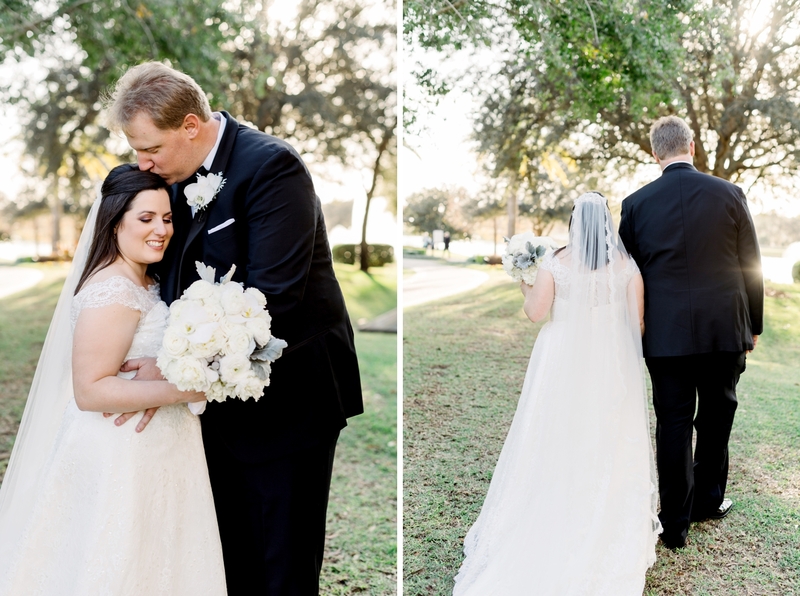 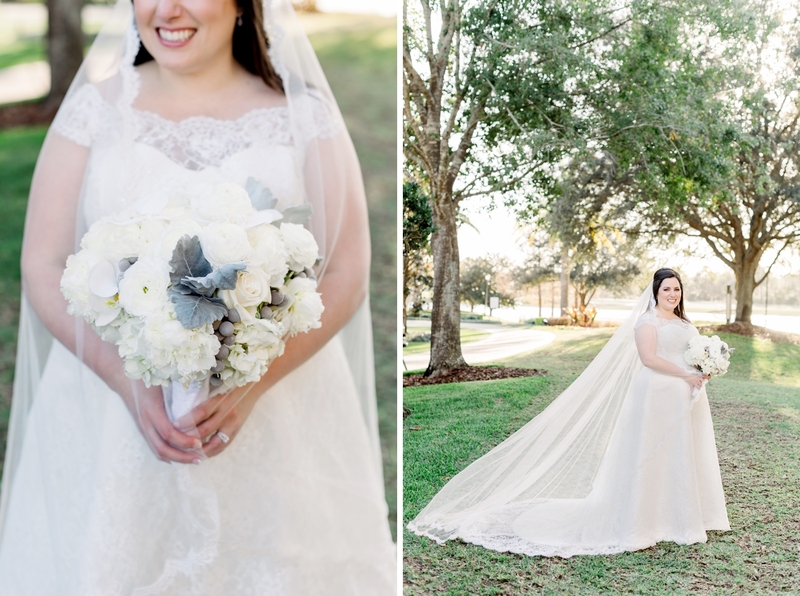 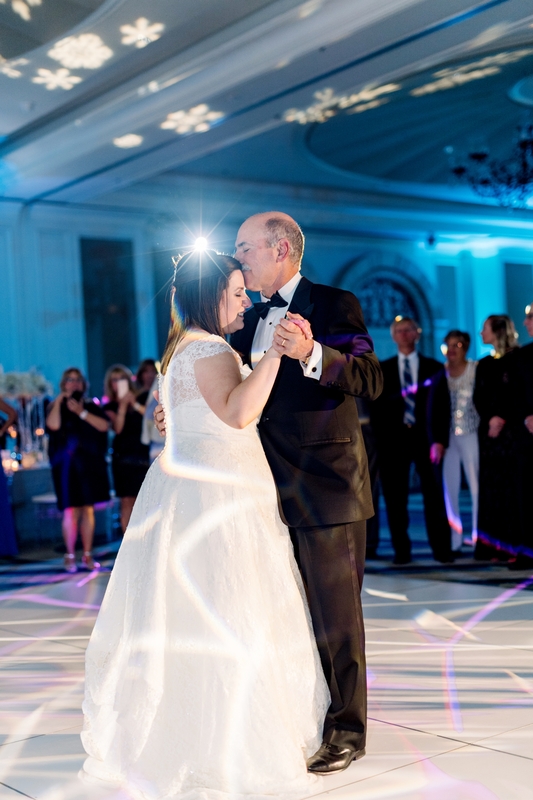 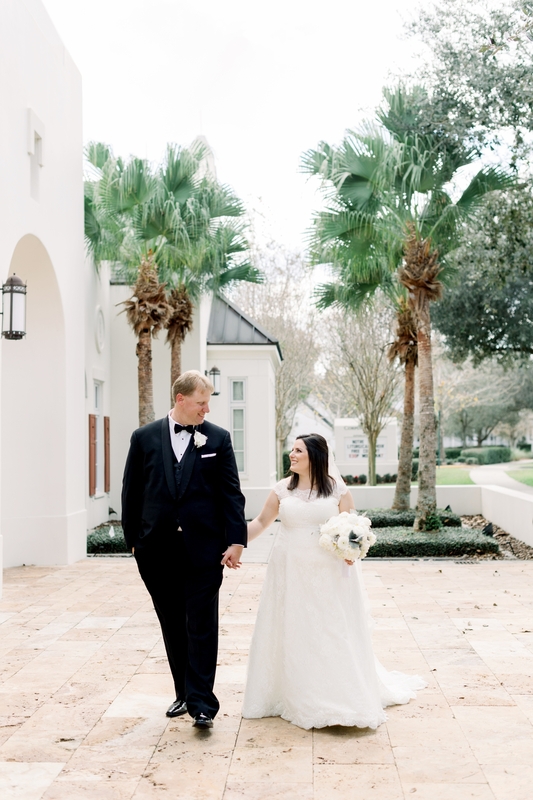 Their story started on Christmas Eve, so it was perfectly fitting for Michelle and Chris to have a Winter Wonderland styled wedding at the Ritz Carlton in Orlando! 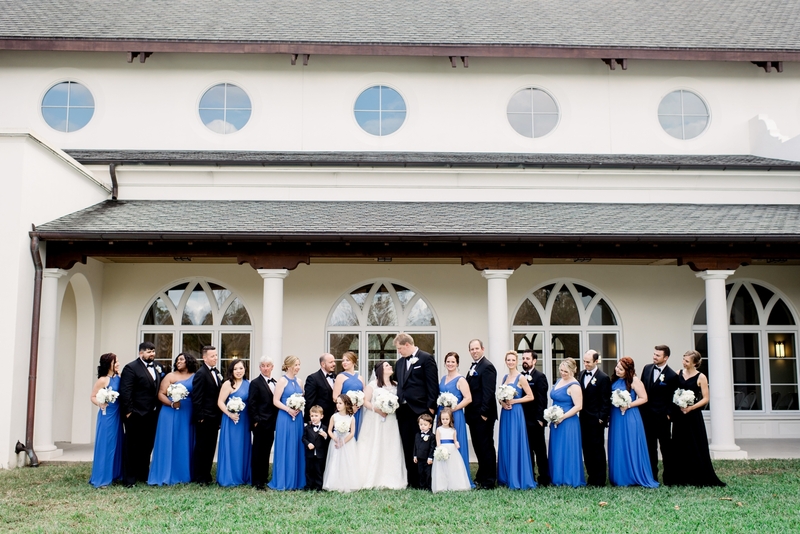 Originally set up by their parents, several friends and family had a part in their story! 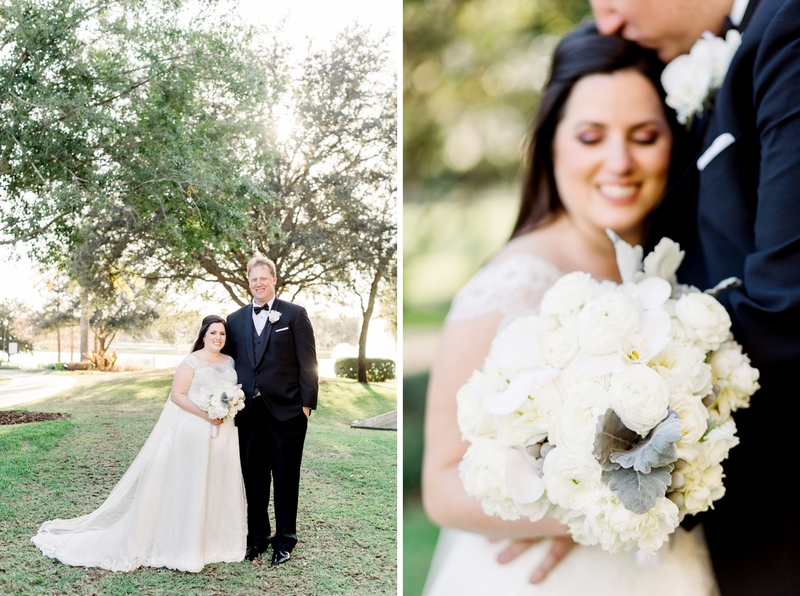 Their first date was just a week later and after spending 10 hours singing, dancing and enjoying each other’s company, they were virtually inseparable! 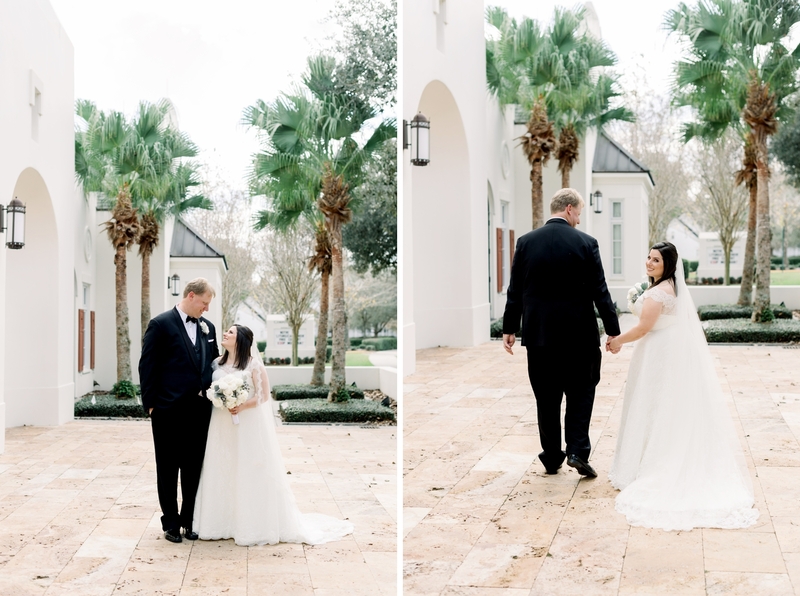 Chris proposed during a vacation in Savannah in front of a wishing well and the planning officially began! 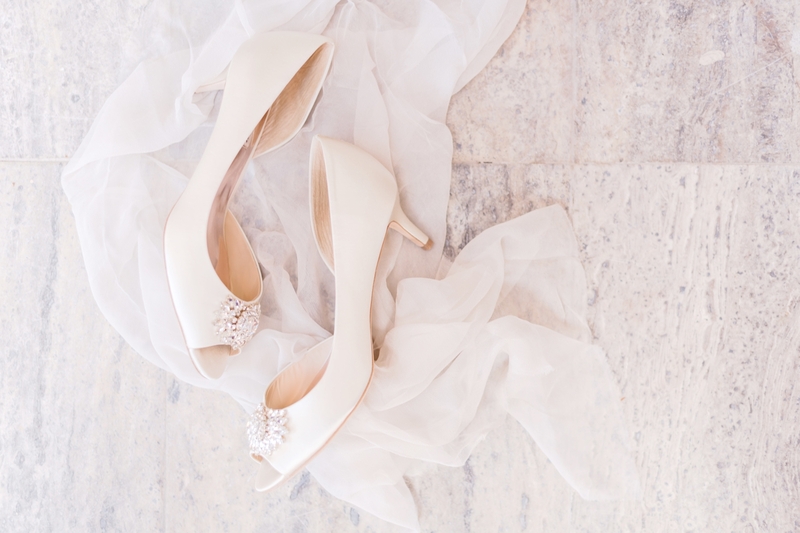 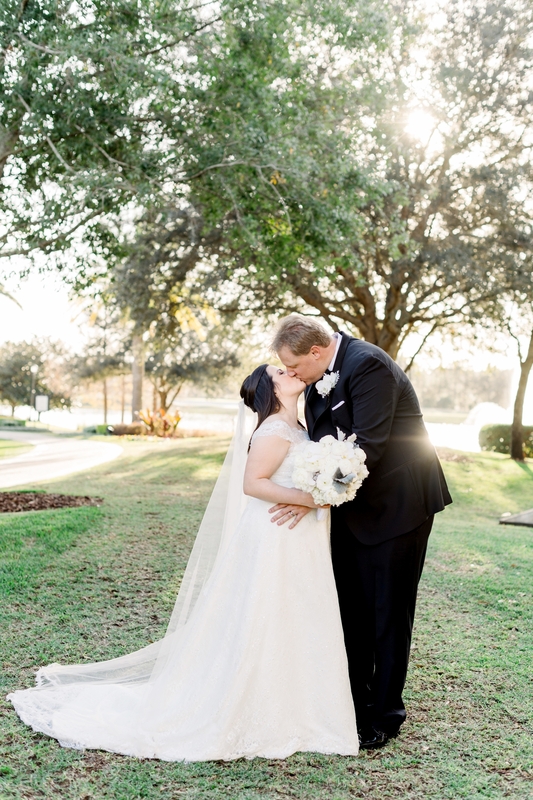 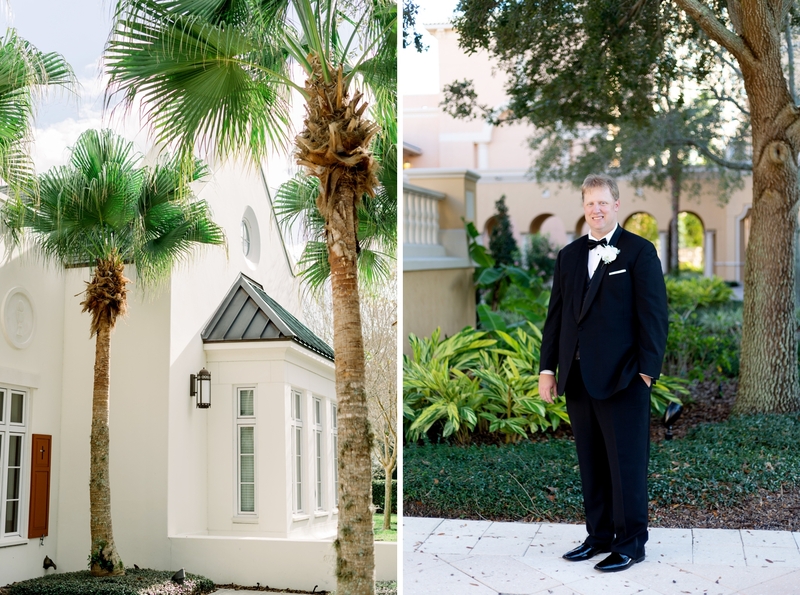 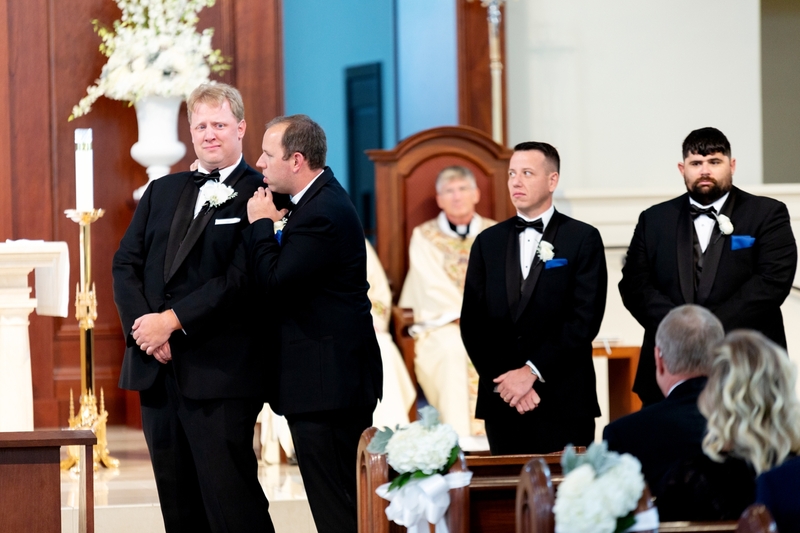 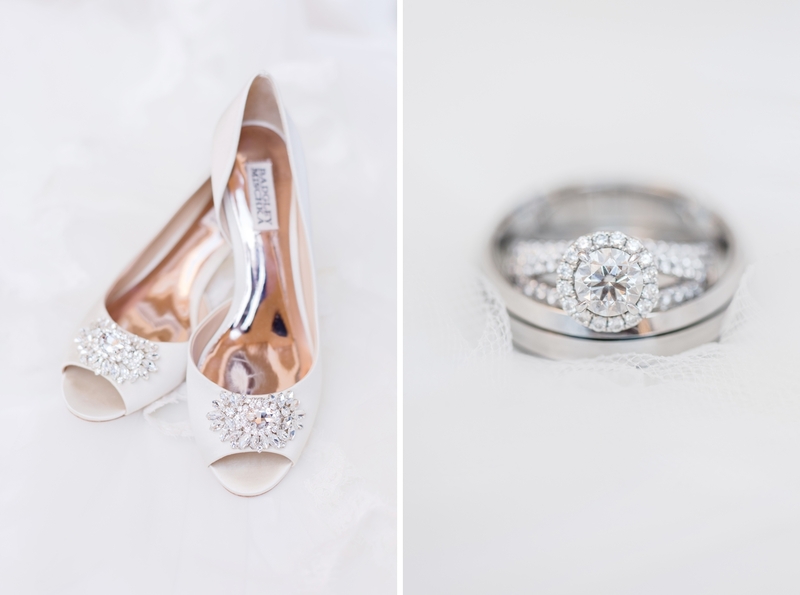 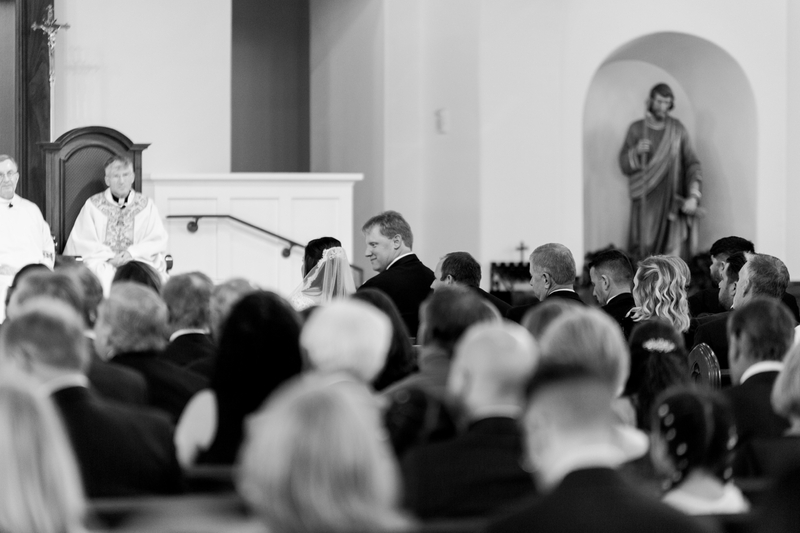 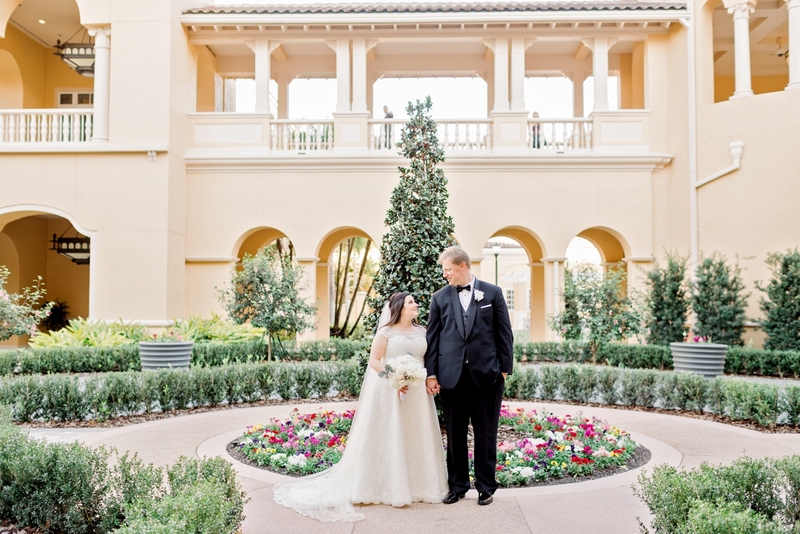 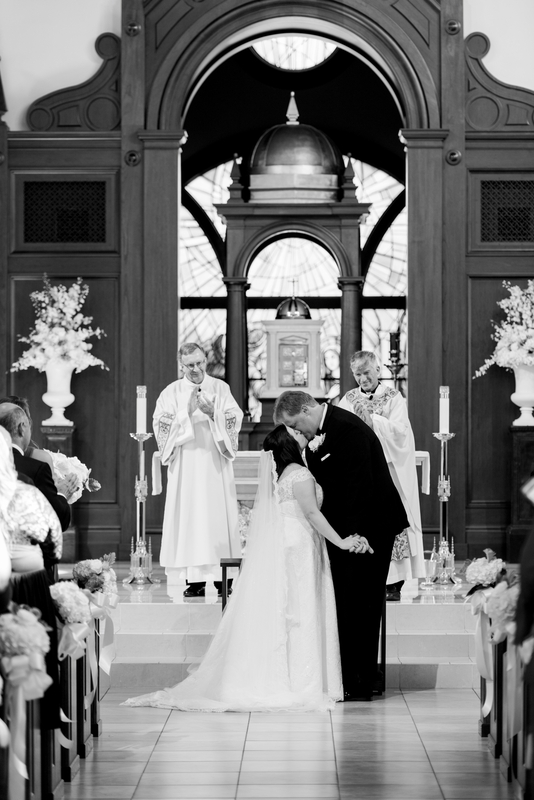 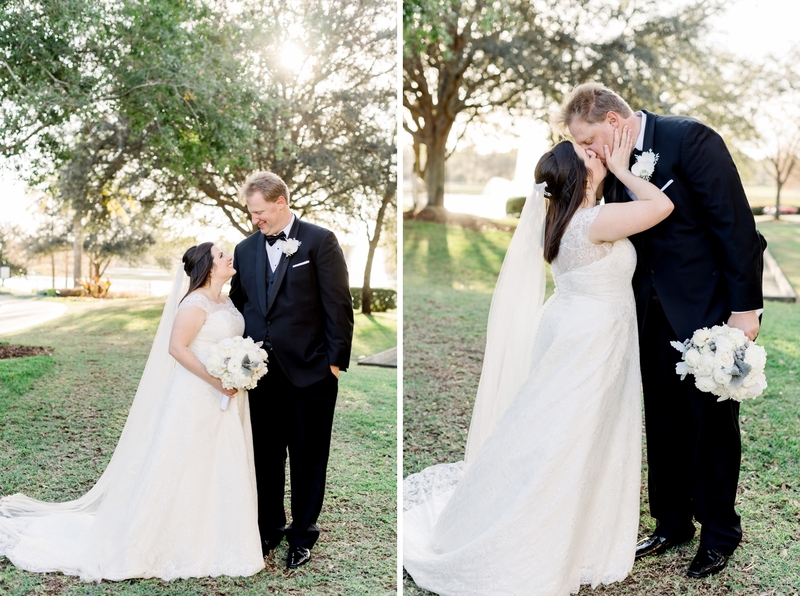 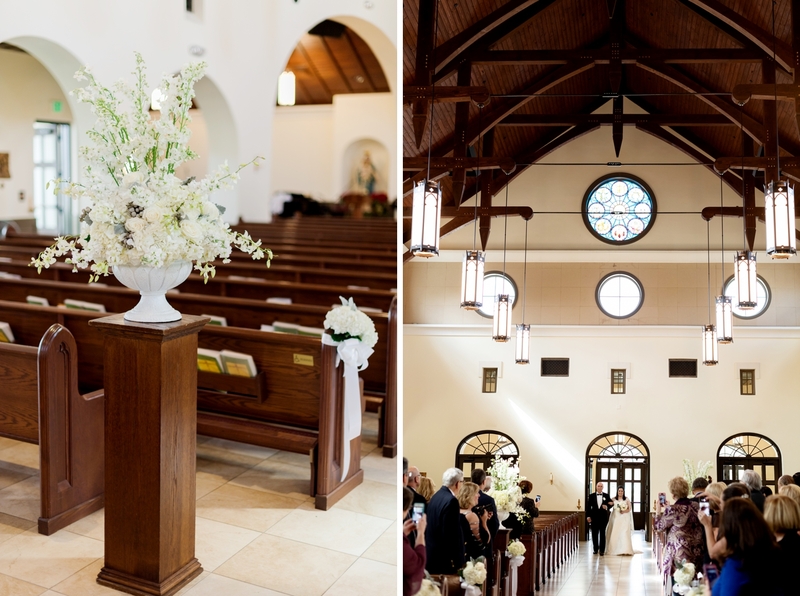 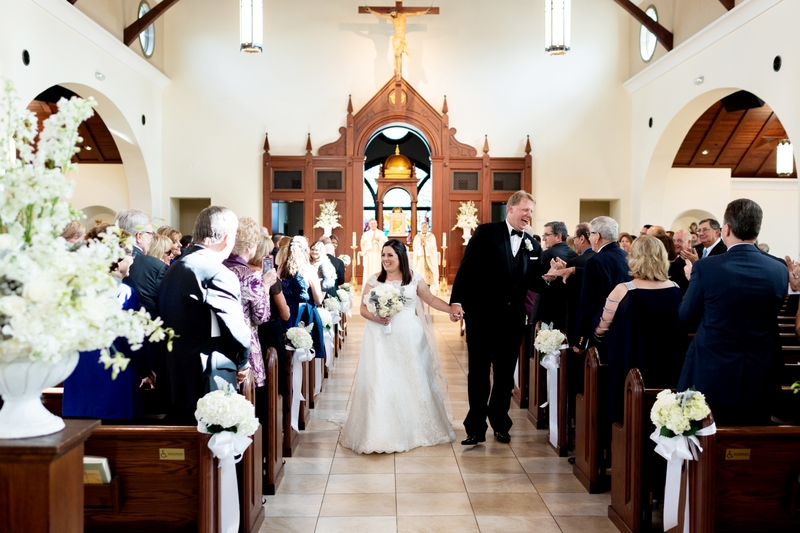 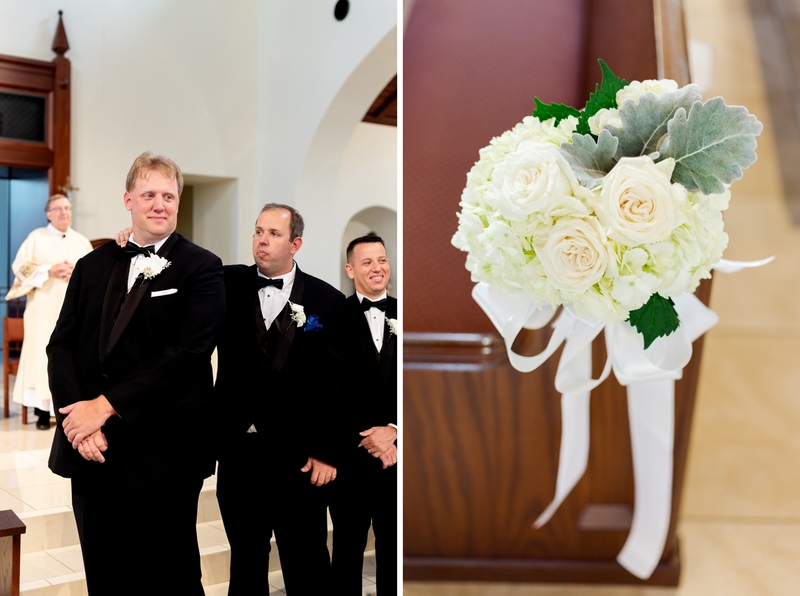 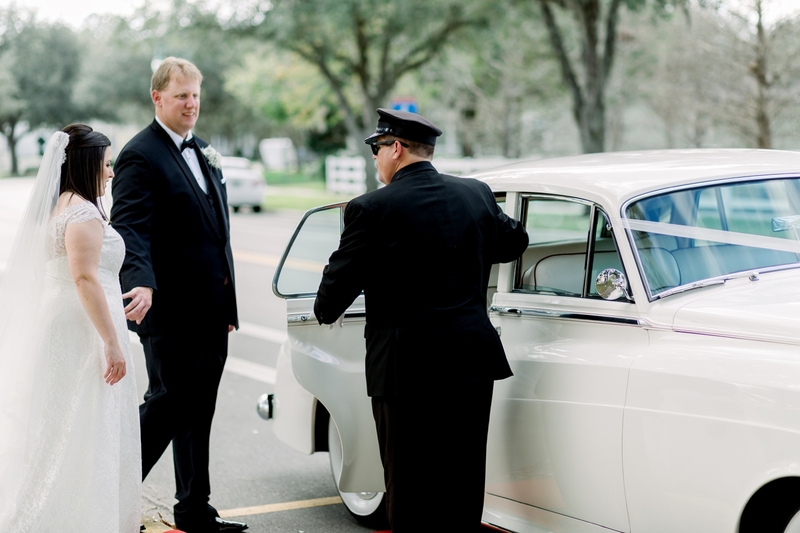 The couple’s wedding started with a beautiful Catholic ceremony at Corpus Christi Church in Celebration, Florida. 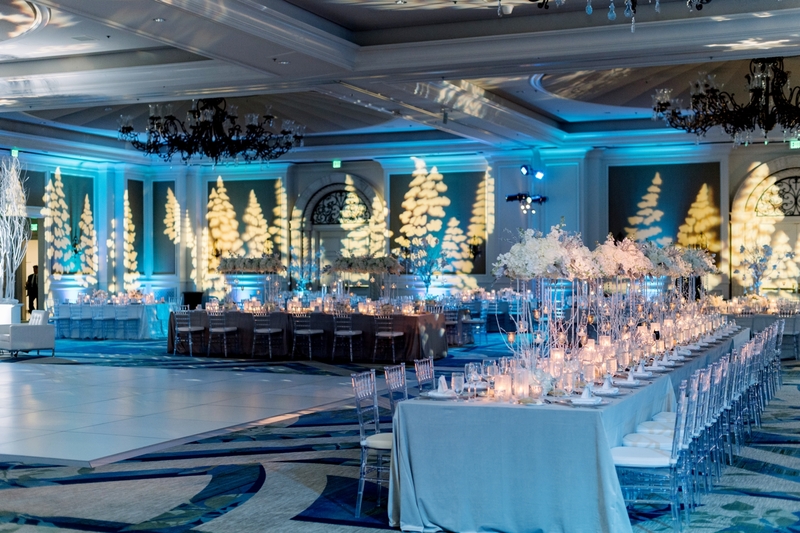 Guests were then invited to a beautiful cocktail hour at the Ritz, before entering the grand ballroom. 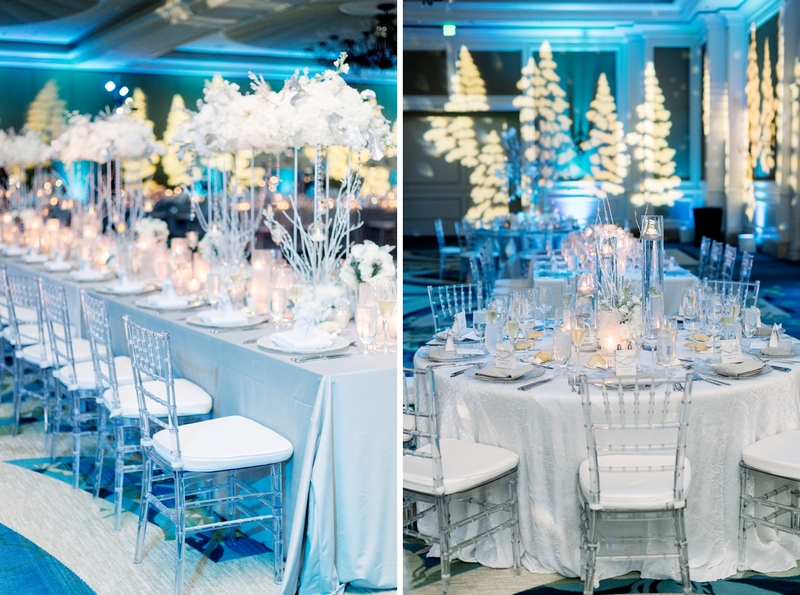 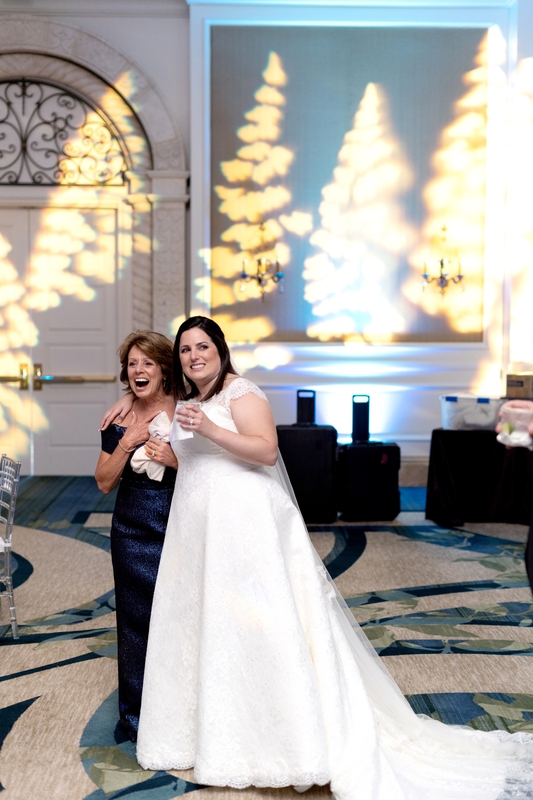 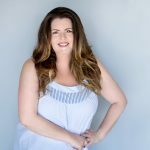 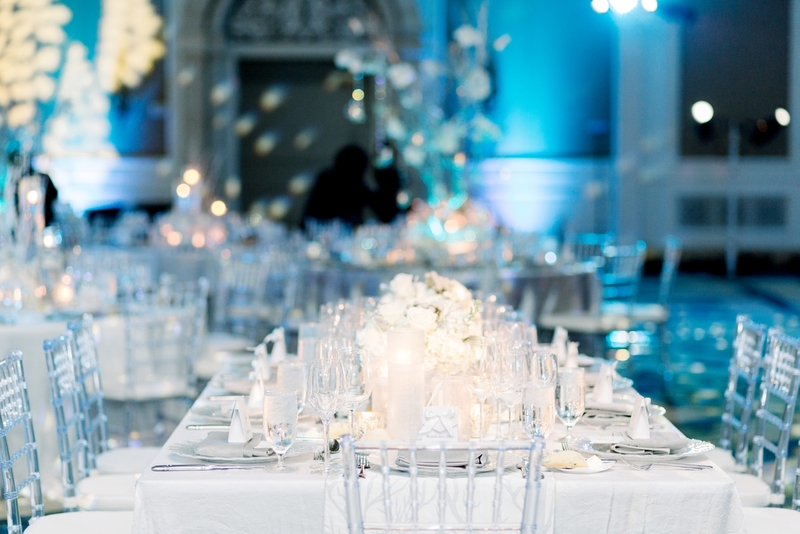 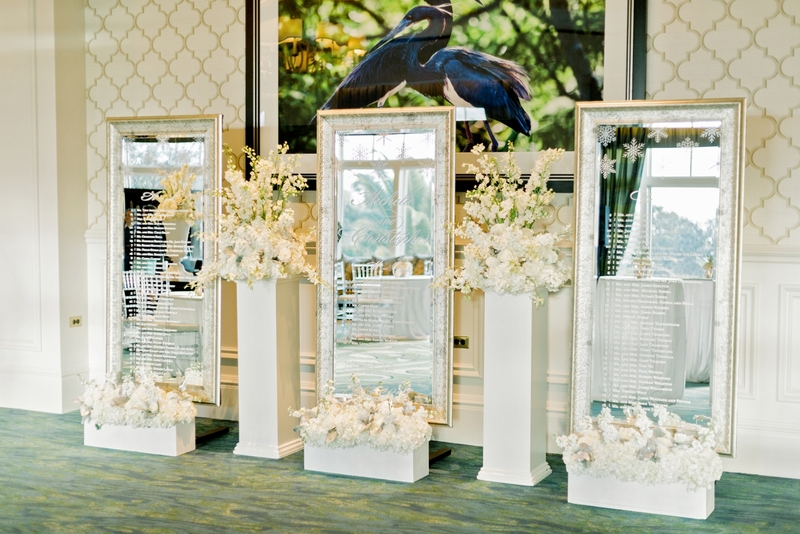 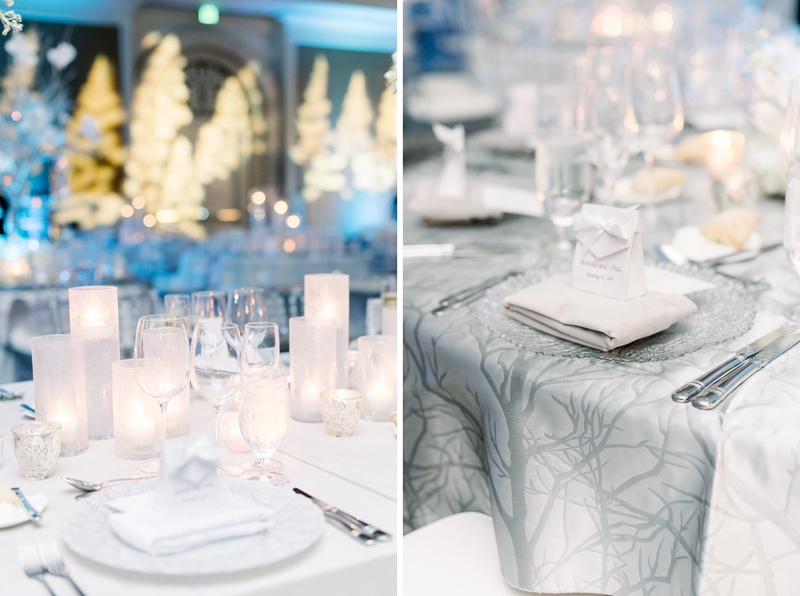 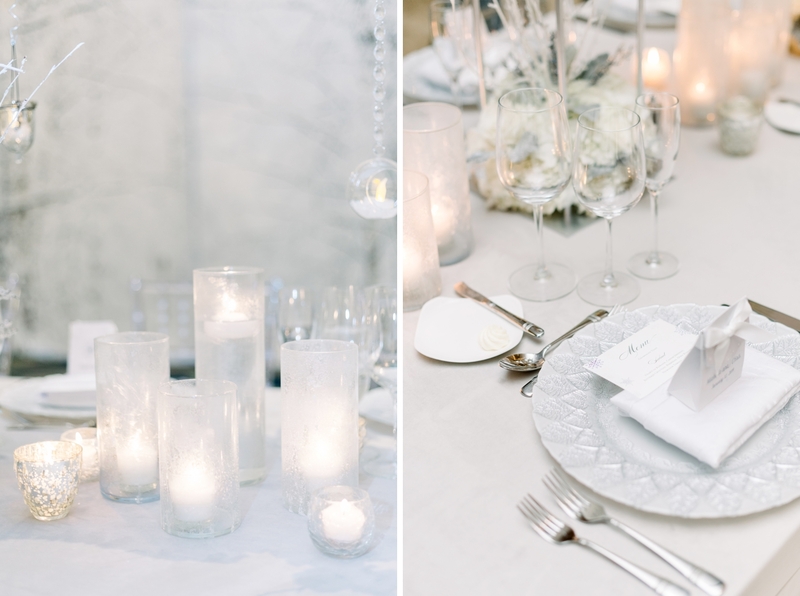 There, they were greeted with a beautiful Winter Wonderland – crisp whites, silvers and orchids on each table with blue uplighting and trees around the ballroom walls. 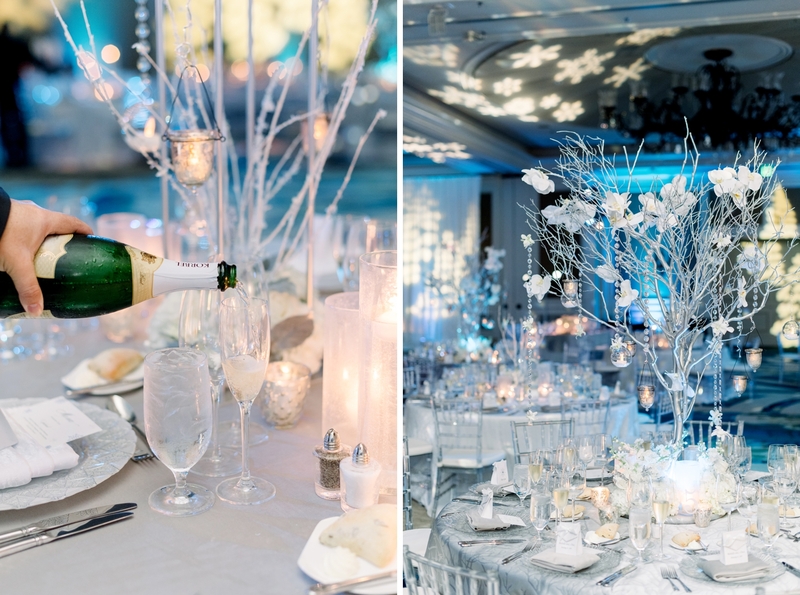 The entered to “Let it Snow” (complete with a snow fall!) 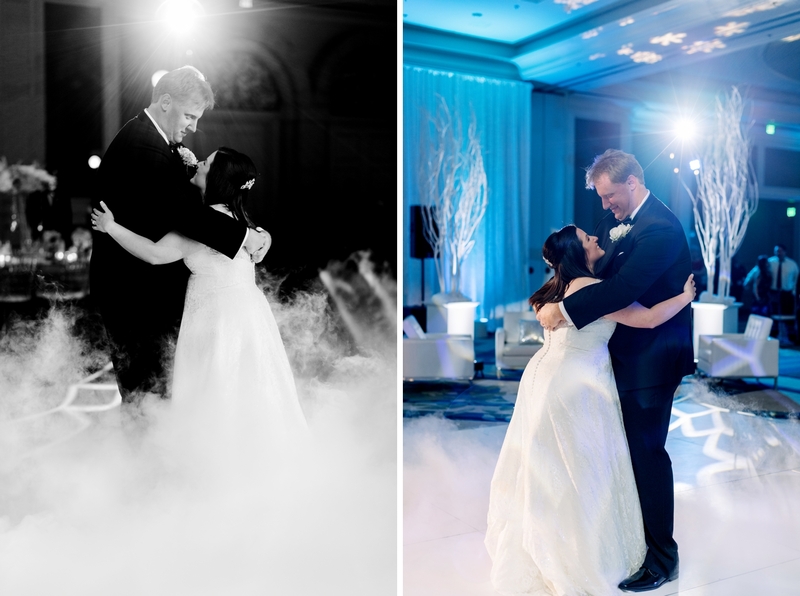 and then shared their first dance on a cloud of dry ice. 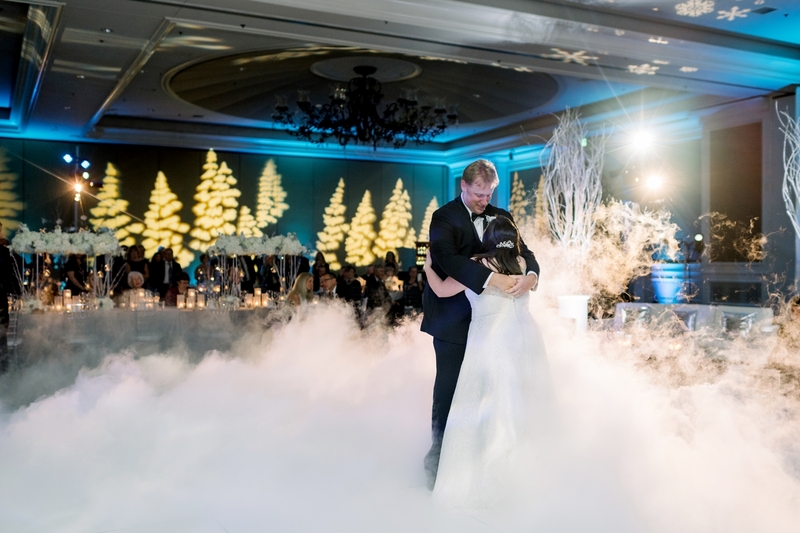 Known for their selfies, their wedding cake was topped with the perfect “Selfie” cake topper! 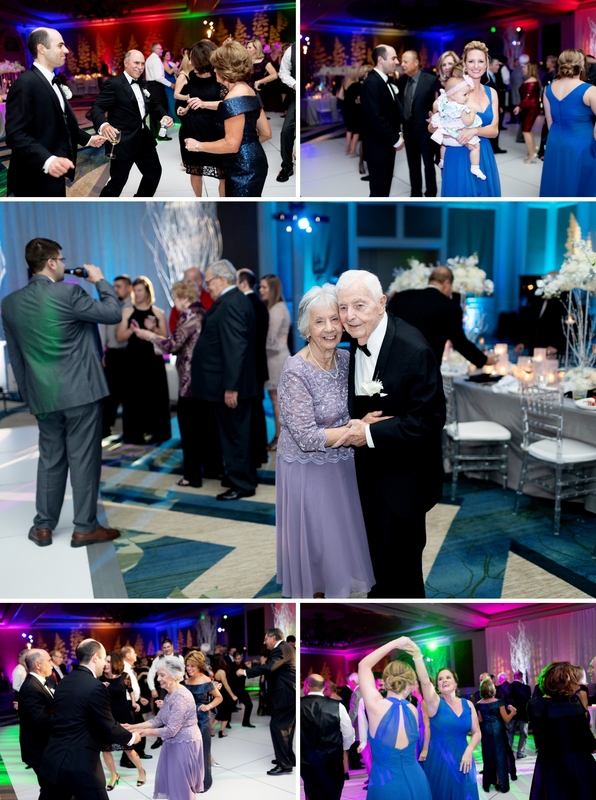 Guests celebrated well in to the night thanks to Tampa Bay Rays DJ, DJ Fresh!